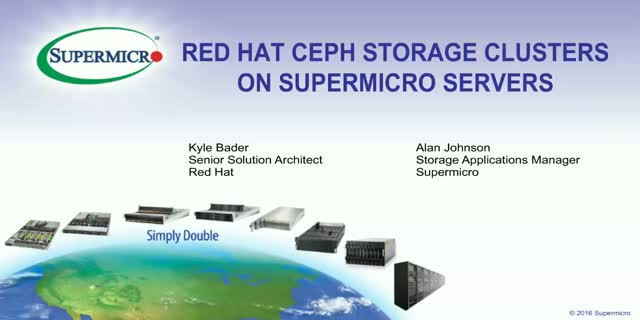 If you need guidance with performance, capacity, and sizing using Red Hat® Ceph Storage on Supermicro servers, then this webinar is for you. Red Hat and Supermicro have performed extensive lab testing to characterize Red Hat Ceph Storage performance on a range of Supermicro storage servers. •See benchmarking results that led to Ceph-optimized Supermicro server SKUs.